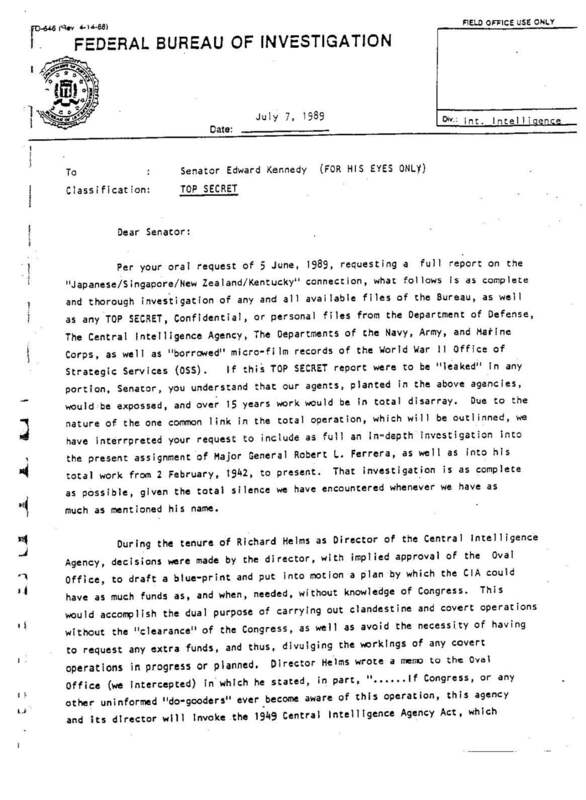 Per your oral request of 5 June, 1989, requesting a full report on the “Japanese/Singapore/New Zealand/Kentucky” connection, what follows is as complete and thorough investigation of any and all available files of the Bureau, as well as any TOP SECRET, Confidential, or personal files from the Department of Defense, The Central Intelligence Agency, The Departments of the Navy, Army, and Marine Corps, as well as “borrowed” micro-film records of the World War 11 Office of Strategic Services (OSS). If this TOP SECRET report were to be “leaked” in any portion, Senator, you understand that our agents, planted in the above agencies, would be exposed, and over 15 years work would be in total disarray. Due to the nature of the one common link in the total operation, which will be outlined, we have interpreted your request to include as full an in-depth investigation into the present assignment of Major General Robert L. Ferrera, as well as into his total work from 2 February, 1942, to present. That investigation is as complete as possible, given the total silence we have encountered whenever we have as much as mentioned his name. 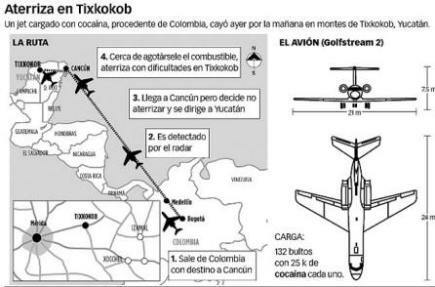 Translated illustration: Landing in Tixkokob A jet with a cargo of cocaine, from Columbia, crashed yesterday morning in the mountains of Tixkokob, Yucatan. 1. Leaves Columbia en route to Cancun. 2. Is detected by radar. 3. Arrives in Cancun, changes course to Yucatan. 4. Low on fuel, crash lands in Tixkokob. 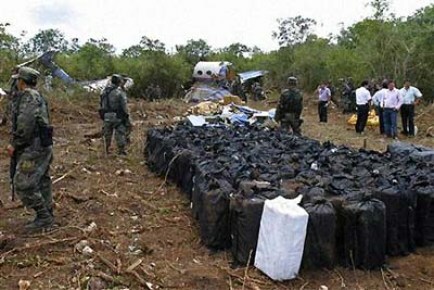 The aircraft: Gulfstream 2 Cargo: 132 packages with 25 kilos of cocaine in each one. During the tenure of Richard Helms as Director of the Central Intelligence Agency, decisions were made by the director, with implied approval of the Oval Office, to draft a blue-print and put into motion a plan by which the CIA could have as much funds as, and when, needed, without knowledge of Congress. This would accomplish the dual purpose of carrying out clandestine and covert operations without the “clearance” of the Congress, as well as avoid the necessity of having to request any extra funds, and thus, divulging the workings of any covert operations in progress or planned. Director Helms wrote a memo to the Oval Office (we Intercepted) in which he stated, in part, “……If Congress, or any other uninformed “do-gooders” ever become aware of this operation, this agency and Its director will Invoke the 1949 Central Intelligence Agency Act, which exempts the CIA from all laws requiring the disclosure of…..”functions”, names, official titles, salaries, and numbers of personnel employed by the agency…………” Using this as the cloak of legality, Director Helms put together a team of five top people. The five experts picked were, General Edward Landsdale, who ran the ClA activities in Vietnam; William Colby, who was to be put in total command of the blue-print operation when enacted; George Bush, who asked and received approval to have his top aid, Richard Armitage be brought aboard, and Lt.Col. Robert Ferrera, a top CIA asset, who at the time was on an assignment in the Congo on the Patrice Lumumba situation. Having secured the “Implied” go-ahead, the five experts were called in and the task put forth to them. They were given a space of three days to solve the problem and come up with a viable solution. The five met in Washington D.C., and from there travelled to Langley Va.
Four of the five were hand-picked for their very special abilities and expertise: the fifth member of the group, Armitage, was brought along by George Bush as his personal “gopher”. Bush was chosen for his knowledge of China and his war-time flying ability, as well as being “on the way up” within the CIA. General Landsdale was brought In because of his expertise as a top CIA asset, especially in breaking insurgencies, as he did with the Huks in the Philippines in the late fifties. William Colby was picked for his knowledge of South East Asia, and to command the operations first phase. Lt.Col. Ferrera was included because of his varied experience as a pilot, as well as his command of over a dozen languages and his position as founder of the Special Forces (Green Berets) and still, at that time, regarded as their unofficial commander in Vietnam. The five names were submitted to the “Godfather” of the CIA, John Foster Dulles, who gave the plan his total blessing. The group met the deadline and cane up with a plan that would be so and large in scope, that if carried out to the most minute detail, wt would become simple by its mere complexity. The plan presented called for a second airline to be set up by the CIA (the first was “Flying Tigers”). This was done, and the airline was named “Overseas National Airline”. This airline, suddenly, without yet having any aircraft, received the contracts for all civilian carrier and military cargo into the Pacific Rim and Southeast Asia. 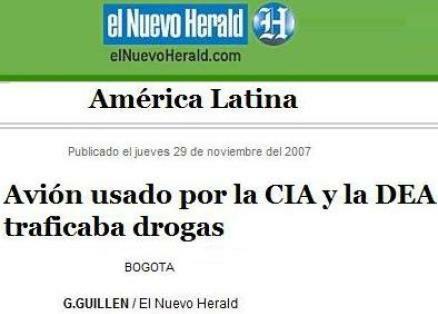 The master plan called for the CIA to enter into the drug smuggling business, in a total and complete fashion. Each of the five planners would have his own field to handle. 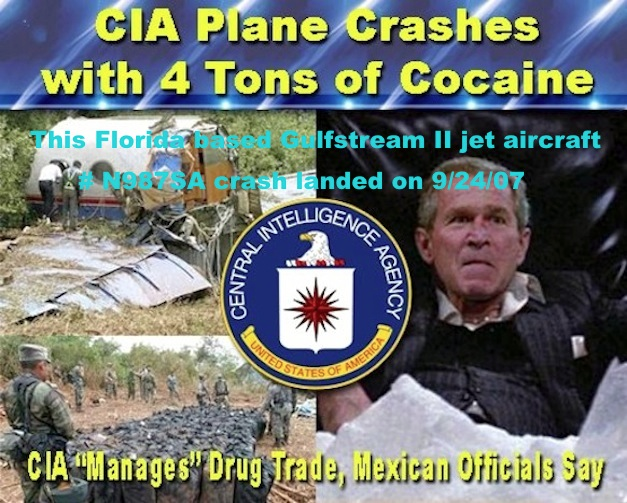 Bush would be the secret head of ONA and handle all the shipping of the drugs under forged waybills. Armitage would be the “gopher” for the group and the intermediary with any “undesirables”. General Landsdale would handle all the distribution network and collection services within the military in Vietnam. William Colby was to handle the setting up of all the man-power—-from runners, peddlers, pushers, collectors, and so forth, as well as the elimination of any who might prove to be uncontrollable, be they American or Vietnamese. Lt.Col. Ferrera was to use his contacts in Latin America and in the middle-east, to obtain ‘from various governments the needed drugs–heroin, cocaine, marihuana, LSD, etc etc, as ordered by Colby, Bush was to handle the opium from China. The operation was given the name of “Eagle II”, at the request of Ferrera, for he felt it would be lucky to have the same code as the “Eagle” project he had participated in when he was with the OSS. Before the operation was really off the ground, Colby started his phase of elimination of dissidents, and he did so under the code name of “Phoenix Program”. Colby became insane with his power and before, he was finished with “Phoenix”, over 20,000 “suspects” were executed and over 2,500 U.S. citizens were accused by Colby of being “collaborators”, and they vanished. Helms attempted over and over again to have Colby eliminated, but found that it could not be done for copies of all plans, as well as secret recordings of all spoken at all of the meetings, were in safe-keeping some place as an insurance policy for Colby against Helms and Dulles, The fault for this fell on Armitage, for he was in charge of security for the meetings, etc. Helms found that he had to make an arrangement with Colby, calling for Colby to resign from the group and forever retain his “secrets”. In exchange for the resignation by Colby, Helms, with the approval of Dulles, promised Colby that he would, in the future, become the Director of the CIA. This promise was kept by Helms. Colby withdrew. More problems were to be encountered in later years with George Bush and with his aid Richard Armitage. Bush, for his cooperation and silence was groomed for his present position, as well as becoming Director of the CIA. He was named CIA Director so as to increase the operation ten-fold. The only persons who did their job and asked for nothing in return were the two military CIA officers, General Landsdal and Lt.Col. Ferrera. The plan was in full force when the United States government encountered continued opposition to its requests from the Japanese government ruling party. To put CIA controlled people in power, Bush personally picked an obscure party, formed in 1955, bankrupt and with very little membership, to back in the possible takeover of government. But the Liberal Democratic Party needed vast amount of funds to carry out their part. They had to “buy” the membership and the votes. It was decided to give to this obscure party all of the funds needed, and before they finally achieved power, a sum over 300 billion Japanese Yen had been funnelled to them. This was carried out by Lt.Col. Ferrera, for he had a very special relationship with the first cousin of Emperor Hirohito, Prince Hiruko Watanabe, and thus the Colonel had and “open-door” to Japanese politicians and to the Diet. That, in effect, Senator, is the start of the operation “Eagle II”, which over time has now evolved into what you refer to as the “Japanese/ Singapore/New Zealand/Kentucky” connection. The amount in question, that now has been arranged to be given to Horn, totals 318 Billion J.Y., all from the sale of drugs to our service personnel. The profits, and the pay-offs have reached such proportions that Mr. Helms has ordered that all operations be terminated. Since the inception of “Eagle II” in 1966 to 1976, the original “Gang . of Five” has gone in different directions. When, in 1973, Helms decided chat he could better control international operations from outside the CIA instead as made to him, and as promised by Helms, Colby assumed the post of Director of the CIA, with Schlesinger being given another assignment. This was done in order to avoid any movement that would endanger the operation of “Eagle II”. Colby remained until 1976. In 1976, the hand-picked new Director of the agency was George Bush, who served until 1977 only. This was not a very peaceful time for the agency, for during the seventies, the “puppet” of Helms, Prime Minister Kakuei Tanaka, was found with his hands in the cookie jar, making money on the side in the scandal involving Lockheed Aircraft Co. 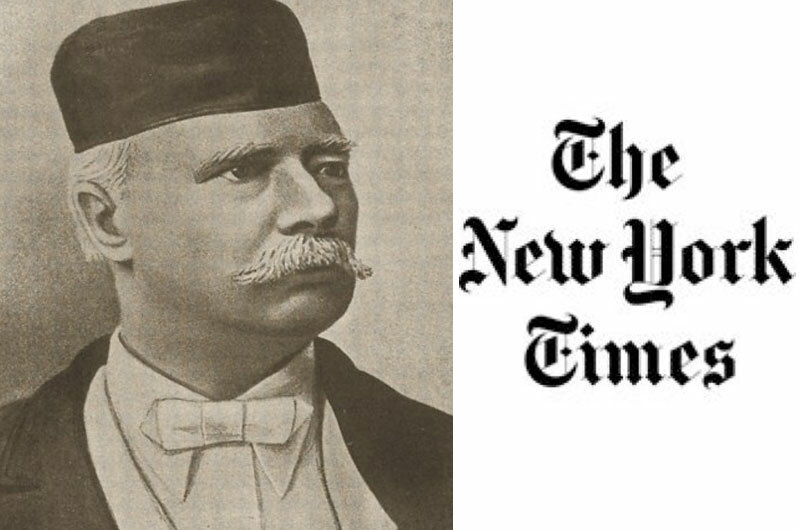 This was too close to all being made public, so Helms who in the meantime had formed a totally strong relationship with Baron Phillipe duDaphne, who represented the real capital of the world, the Rothschild empire, decided to stop operation “Eagle II”, and start another clandestine money-making operation, and leave Japan. (Baron duDaphne, by the way of information, later took over complete control of the International Organisation, the “Organisation De Cooperation Et De Developpement Conomiques” (The Organization for Economic Cooperation and Development), headquartered on Rue Chardon-Lagache in Paris, France. This gave Helms and duDaphne complete control over any “development” operation In the world, and thus a carte-blanch for covert/clandestine CIA operations. With Prime Minister Tanaka being forced to resign, the decision was reached to name George Bush to terminate “Eagle II” and to wash away any traces. For this, he was named Director of the CIA, so that he would have a clear way of doing away with any evidence. This, by the way has been done. This was accomplished, to a certain degree, prior to Governor Carter assuming the Presidency. The actual Director, James R. Schlesinger was named for a brief period as Director, and then William Colby started to make loud noises about the promise that had been part of the closing solution called for the return of the 318 bilion J.Y. to the CIA, or to whomsoever then Director Bush named as recepient. It was decided that a wealthy and loyal party member was to be found in Japan, one who would agree to have his name entered into back-dated records as having been the individual who “loaned” the funds to the party, The only logical person was hand-picked by Prince Watanabe, Mr. Soichi lisuka. Lizuka was a very respected multi-billionaire in Japan and totally loyal to the Royal family, thus he agreed. Now it was necessary to “wash” the funds, for they had to pass thru the Iizuka hands and back to whoever Director Bush designated. To do this, Iizuka suddenly found himself In the possession of Gold Certificates from the Japanese Treasury. With these, Iizuka was instructed to buy a Certificate of Time Deposit (No. 4051100-92), issued by the Mitsui Bank Ltd., Home Office, in Tokyo, Japan. The plan was for Iizuka to “sell” this certificate, and supposedly invest the monies in various countries, with the eventual “story” that all investments had proven to be losers. This was to allow the actual cash to be given to Bush’s nominee. The records that we have photograph copies of, from the top secret CIA files, show that Helms insisted on everything being done to perfection, without any possibility of a slip-up. Then went so far as to legitimize the Gold Certificates by having them registered with the proper international banking institutions, including the World Bank. The penchant for perfection caused that Iizuka work from 1977 unti 1983, before the ideal “buyer” was found. In the meantime, the Gang of Five had dispersed…Colby did become Director of the CIA, as did Bush shortly there-after. Richard Armitage remained as the top personal aid to Bush, and has so followed him everywhere. General Landsdale retired after he suffered a Mysterious” and total memory lose. LtCol. Ferrera resigned from the operation when he discovered that the drugs were being given to U.S. servicemen, and not to the North Vietnamese or the Viet-Cong, as he had been led to believe. A contract by Dulles was put out on the Colonel, but a “leak” enabled the Colonel to defend himself. First the Colonel called upon his dear friend, Prince Watanabe, and informed him of what was transpiring. Then without any stop, the Colonel contacted other very close friends, such as the Baron Luis deHonchey, the Chief Justice of the World Court of Justice, as well as Baron Phlllipe duDaphne, whom the Colonel had saved from the Nazi during the mission for the OSS in WWII. As his last trump card, the Colonel called upon Baron Guy Rothschild, the head of the Rothschild banking family. The Colonel had been very instrumental in obtaining fake Nazi credentials for the Rothschilds, which enabled them to escape occupied France in 1943……They owed him, and he collected. Helms also talked to Dulles to lift the contract, because of the pressure exerted by the cards Ferrera called into play, for as fate would have it, all, save Baron deMonchey, were in some form connected with the whole affair. Ferrera had, and still has, the reputation of being totally ruthless and without mercy when he feels that he has been betrayed, or when he feels one of his very very few friends have been betrayed, but all that have ever known him state that the “word of Ferrera is without price”. Helms obtained the word from Ferrera that with his oath, he would never divulge any part of the operation. Ferrera agreed, and went so far as to give them the solution to continued control over the Japanese government. The Colonel suggested that the CIA form a new company that would do all of its business in Japan, and have so much success that they would have money to “burn”. This money would be used to give to individual politicians….not to the party. It was pointed out by the Colonel that by control of the individual, you control the party. Thus the birth of “Recruit”…..and the control, to this day, of the individual and the party in Japan by the CIA.